Egypt is a very remarkable country as it’s blessed with a lot of amazing attractions. Egypt contains two-thirds of the world monuments. No one would ever miss the chance to explore all the allure and greatness of this majestic land. Cast your eyes on the magical Egypt tourist attractions like Cairo, Aswan, Luxor, and Alexandria and discover the true meaning of the words Vacation and adventure. There are 196 countries in the world but none of them comes even close to Egypt on the level of greatness. Egypt is truly blessed as it redefines the meaning of perfection, Egypt tourist attractions famous for being the home of the ancient Egyptian Civilization, the medieval, Coptic & Islamic heritage and the most breathtaking natural beaches and landscapes like the enchanting Red sea. Egypt’s location is quite rare as is a transcontinental country between Africa and Asia and is considered a regional power in the Muslim World, North Africa, and the Middle East. Egypt’s history goes back to the possibly the 6th millennia or even older which makes it arguably the oldest known Cradle of Civilization. Across the years the country was able to define her identity as the home to some of the most majestic monument the world has ever seen that various from her national ancient Egyptian to foreign influences like the Greek & Roman to Coptic & Islamic artistry. Through all of its wonder and beauty, Egypt has the power to stimulate the imagination, Heart & Soul of all its visitors which makes Egypt one of the most popular tourist attractions in the entire world. During the Old Kingdom (2686 -2181 BC) Egyptian society flourished in possibly every aspect which led to the creation of the Giza Pyramids Complex. It consists of the three Great Pyramids and the sole guardian of Egypt the Sphinx. 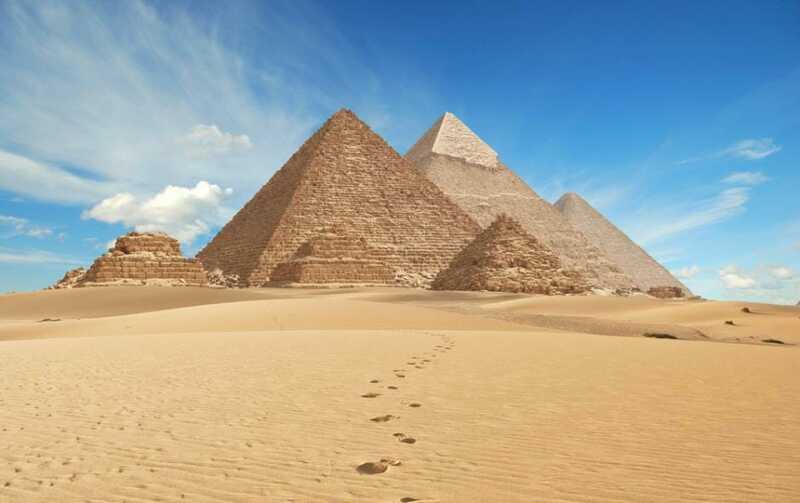 The three Pyramids are the Great Pyramid of Khufu which is the tallest man-made pyramid ever constructed at the height of 146.5 m since more than 3.800 years in only 20 years to be the tomb of Pharaoh Khufu which makes it one of the Seven Wonders of the Ancient World. The second Pyramid of Khafre is the second tallest pyramid built in the 4th dynasty and the tomb of Pharaoh Khafre (2558-2532 BC) who is famous for constructing the Sphinx, the world’s biggest and oldest statue after his own image, then comes the smallest of the three pyramids, the pyramid of Menkaurewhich was built in 2510 BC To also be his tomb. One of the many wonders you can find in Egypt tourist attractions that you can visit during your cheap holidays to Egypt is the Egyptian Museum in Cairo across the famous Tahrir square, The original museum was constructed in 1835 but was later moved to it Cairo Citadel in 1858, the location of the Museum kept shifting until it settled in its current location which is the home to about 120,000 rare Ancient Egyptian artifacts dating back to more than 4,000 years from the Old Kingdom to the Greco-Roman period and is considered the world’s largest collection of Ancient Egyptian antiquities in the world like the royal tombs of eleven kings and Queens like Tuthmosis III, Tuthmosis IV, Amenhotep III, Nefertiti and Tutankhamun. In the southern district of Cairo lies “Old Cairo” a.k.a Coptic Cairo & Islamic Cairo as one of the world’s earliest constructed churches was the Orthodox church of saint mark the apostle in 42 AD and much other church on the road which the holy family took across Egypt like the Hanging Church, Abu Serga Church, St. George and many more. At the beginning of the 11th century Egypt became a Muslim country under the hand of Amr of Ibn Al-As who created the famous Mosque of Amr Ibn Al-As in 642 that also one of the most famous Egypt tourist attractions, that you can visit during your Egypt holidays 2019 and in 970 a new capital of Egypt called the Fustat was established by the Fatimid dynasty where many Islamic mosques resides like sultan Hassan mosque, Mosque of IbnTulan, and the famous Golden brick road Khan El-Khalili bazaar and the majestic Muizz street which has the greatest concentration of medieval architecture in the Islamic world. One of the main Cairo tourist attractions is the breathtaking Cairo Citadel constructed by Salah El-Din in 1183 AD and Holds many mosques and museums. 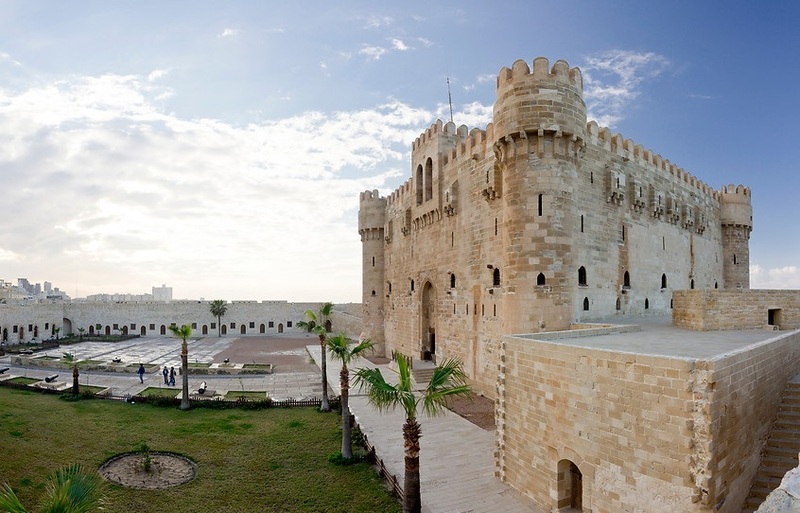 Found in the immortal city of Alexandria is the impenetrable fortress of Qaitbey by the sultan Qaitbey in 1512 to protect the city from the advances of the Ottoman Empire. The fortress is literally history built on top history as it was built in the location of the legendary Pharos Lighthouse which was destroyed in the 14th century by earthquakes. The Citadel is known for its beautiful design and stunning red granite columns within its walls, it also houses a naval museum. Egypt tourist attractions are filled with extraordinary temples but the temple of Karnak is truly unique. The temple constructing process started in the Middle Kingdom until the Ptolemaic period on the east bank of the Nile River in the city of Luxor. The word Karnak means the fortified village as it holds a huge number of chapels, pylons and a lot of decayed temples that date to the new kingdom. The Karnak mostly consist of avenues of sphinxes, huge pillars, towering columns and a massive obelisk that stands 97 feet high. In ancient times it was known as Iprt-Isu that means “The Most Selected Places” as it was the biggest house of worship in ancient Egypt to goddess-like Amun, Maat, and Khonsu. Your Egypt tours don’t complete without visiting the temple of Karnak, so “Egypt Tours Portal” will create Nile cruises tours between Luxor and Aswan allows you witness this archaeological site with a private Egyptologist tour guide. In the heart of a mountain in Luxor lies the valley to the gates of the kings, the final resting place to more than 20 King and Queens from the 16th to the 11th century BC during the new kingdom. Valley of the Kings is located on the west bank on the Nile and it consists of 63 tombs and chambers to the royal family and many nobles. The first pharaoh ever buried there is Tutmosis the First then came the full dynasty of Ramsess, Hatshepsut, Amenhotep, and The Boy-King Tutankhamun. The valley contains unbelievably beautiful decorations and artworks which makes the entire valley a true miracle needs to be witnessed as in 1979 it became one of the world heritage sites. The temple of Hatshepsut is without a doubt is one of the most elegant and beautiful temples in Egypt. It was built in the new kingdom for Queen Hatshepsut in 1478 BC for more than 20 years. The temple was constructed to be her final resting place; it located on the west bank of the Nile near the valley of the kings and was dedicated to the god Amun. 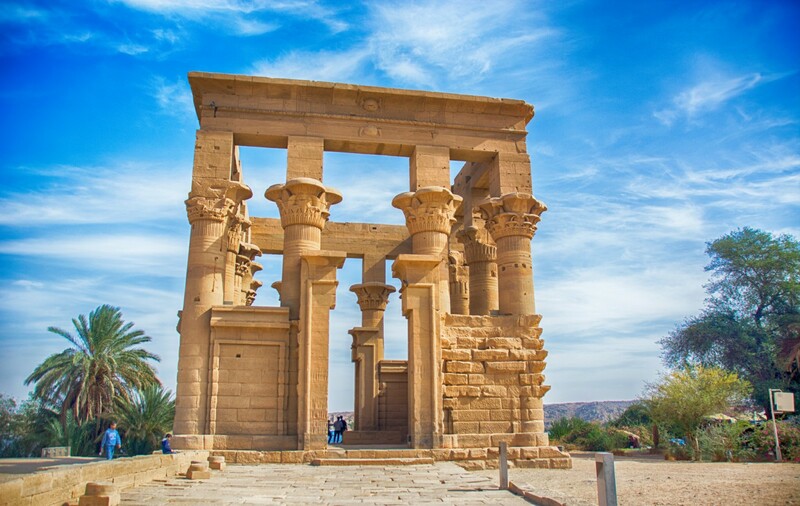 The temple is quite special as marks a moment in time where the style of architecture totally shifted to a new style called Classical Architecture which allows active worshipping forsaking the architecture style of Egypt old kingdom. 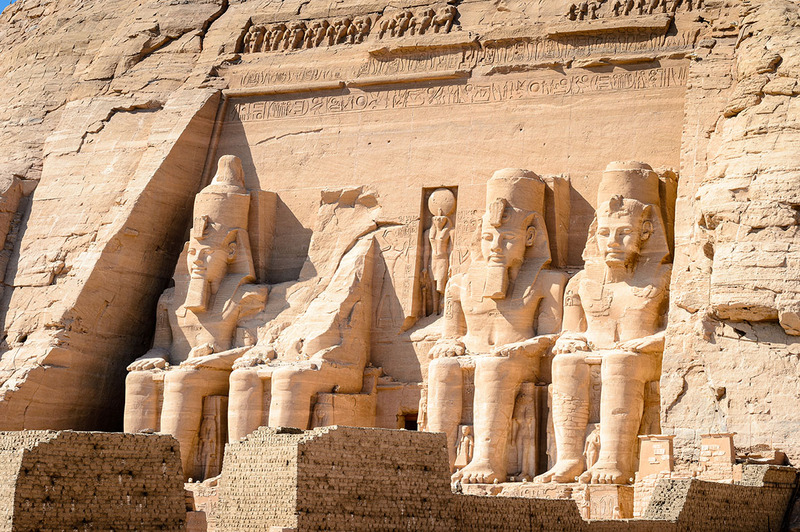 The temple of Abu Simbel has achieved a great deal of fame through history and the media among all Egypt tourist attractions. This great temple was built by Ramses II the great in the new kingdom in the 13th century BC on the west bank of the Nile in Aswan to immortalize the legacy of Ramses II through the ages. The temple was carved into the mountain into two temples the big one was for Ramses where the details of his battle with Hittie is recorded and where the sun festival takes place on the 22 of February and October when the sun rays enter the temple and shine the light of the state of the four gods, it was also dedicated to the god Ptah, Amon, Re-hor-Akhtynas. The smaller one is dedicated to his beautiful wife Nefertari. The temple was the target of a rescue mission by the UNESCO in 1968 when the Nile flood almost submerged the temple due to the Aswan High Dam. The Philae temple is known to be the official temple of the sky god Hours. It was constructed in the Ptolemaic Period between 237 and 57 BC and is considered to be one of the most preserved temples in Egypt. The temple is the origin place of the Osiris & Isis myth and the place where Hours and Set fought for the future of Egypt. The temple was able to provide highly important information on the language, myth, and religion during the Hellenistic period in Egypt. The Red Sea is a natural miracle and a meeting point for beauty and wonder. The Red Sea is located between Africa and Asia, south of Gulf of Aden and north of the Sinai Peninsula & the Suez Gulf. It is 2250 km long, 355 km wide and the depth of 3,040 m. The red sea is the world’s saltiest sea, the home to 250 different types of coral 1,200 and species of fish that represent 10% of species found nowhere else in the world which makes a hotspot and the dream location for any diver. The sea is red as it contains A CYANOBACTERIA CALLED Trichodesmiumerythraeum that turned the natural color of the water from blue-green to reddish-brown. If you prefer to visit Egypt and discover these historical landmarks then check our Egypt tour packages or Egypt Nile cruises and choose your trip which includes visiting all the top attractions in Egypt accompanied by Egyptologist tour guides, accommodation at 5* hotels or deluxe Nile cruises with affordable prices.